In our series of CEO interviews, Celluloid Junkie talks to Veronica Lindholm, the Managing Director of the Finnkino Group. Finnkino is not just the largest cinema operator in Finland, but also includes the Forum Cinemas chain in Estonia, Latvia and Lithuania. Lindholm was #14 in Celluloid Junkie’s list of Top 25 Women in Cinema and is a rising star in the Nordic Cinema Group of companies. Celluloid Junkie: What is your first memory of the cinema? Veronica Lindholm: I lived in the US as a child, and my first memory is going to see “Star Wars – A New Hope”, with my father and older brother. My mother probably wanted some alone time with our newborn younger brother, so my father took us to the cinema quite often. From those years, I remember Star Wars, James Bond – “The Spy Who Loved Me”, and “Grease”. CJ: What qualities or skills do you feel help you to be a good CEO of a cinema company? Veronica Lindholm: First of all, I love movies and going to the cinema and I have a true passion for trying to develop the cinema customer experience. Secondly, I think I have a pretty good background for the job. I’ve moved back and forth between the FMCG/confectionery industry and the entertainment business for many years. I would describe myself as a sales focused marketeer. CJ: What activity takes up most of your time in your current position? Veronica Lindholm: My starting point is that I have great teams taking care of the different business areas and specialist support functions. I like to empower people to make day to day business decisions without having to come to me. I see my most important job as defining the strategy and targets, and ensuring that every one of our employees understands the overall vision and mission of the company and their role in the big picture. As CEO my role is to look at the whole picture and make sure that the customer journey is seamless. A lot of my time is spent visiting our cinemas, meeting our people and our key business partners. CJ: Which current cinema trends keep you the most excited? Veronica Lindholm: I’m really excited by the different premium concepts being launched, PLF, smaller VIP halls, and special Plus Seats. We launched our own PLF concept, Scape in Tallinn one year ago, in spring we expanded it to Riga, and this summer it came to Finland. CJ: Can you tell us more about Scape and how you see own-brand PLF positioning itself vis-a-vis Imax. 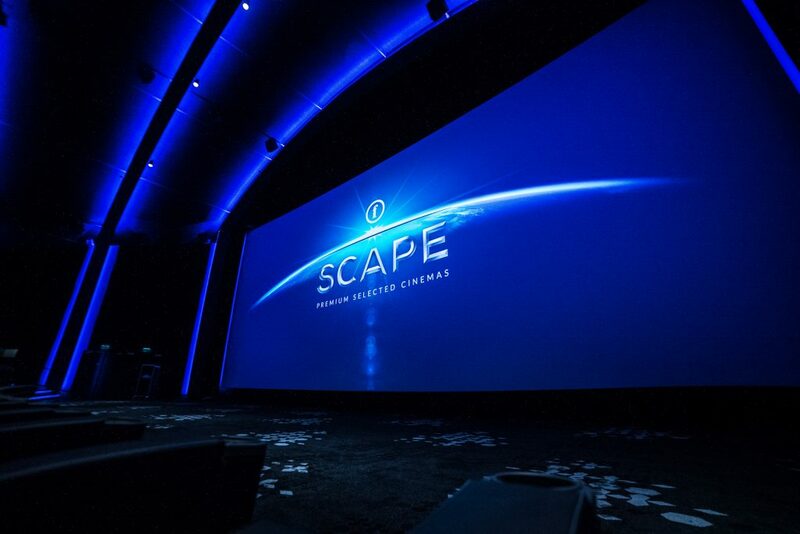 Veronica Lindholm: Scape is our own PLF concept and includes Barco’s [RGB] laser projector, Dobly Atmos sound system, and very high end décor in the hall. 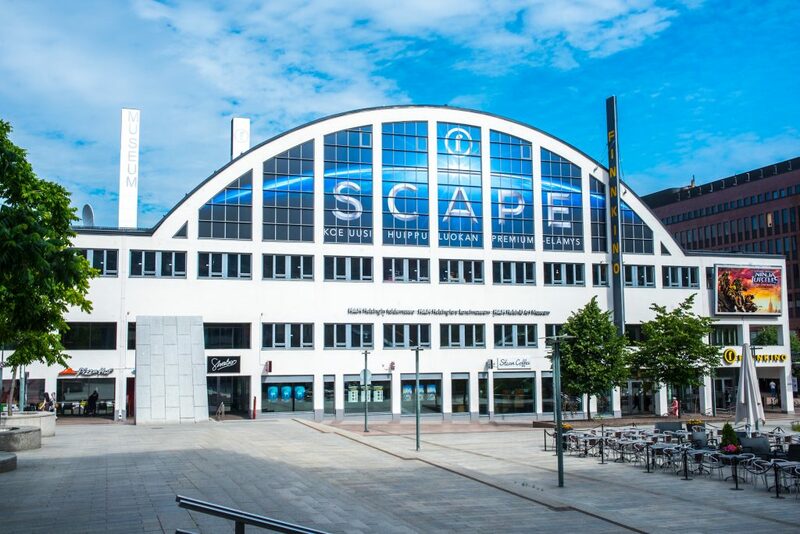 So far it’s been a great success and we see further opportunities to expand Scape. 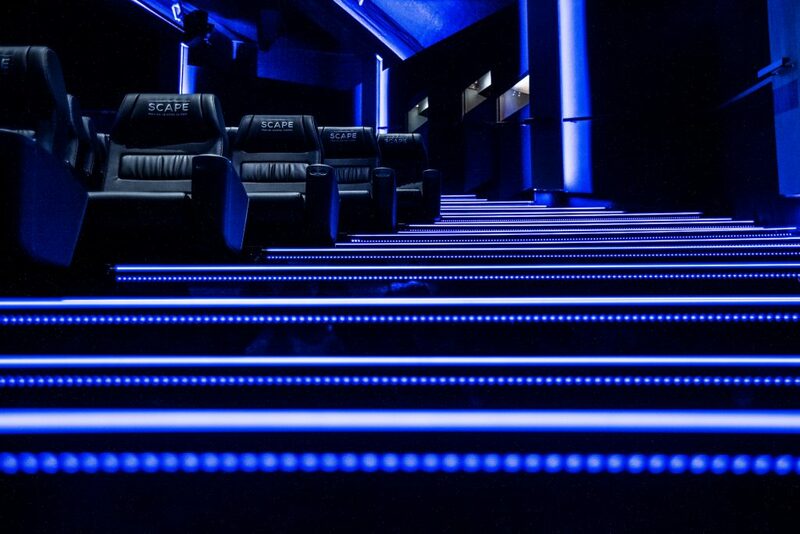 Imax on the other hand is an impressive concept, with global marketing appeal and strong collaboration with film makers. I think we still have a way to go in creating different concepts for different types of consumers. CJ: You previously worked as VP Chief Marketing Officer, the Walt Disney Company for Disney. What are the pros and cons of making the transition from distributor to exhibitor? Veronica Lindholm: I think it’s a real benefit to have seen the industry from both sides. I don’t think it’s impossible to come from outside the industry, but I think I was able to understand the issues and the opportunties quite fast. However, I’m also grateful I have quite a lot of experience from outside the industry as well. 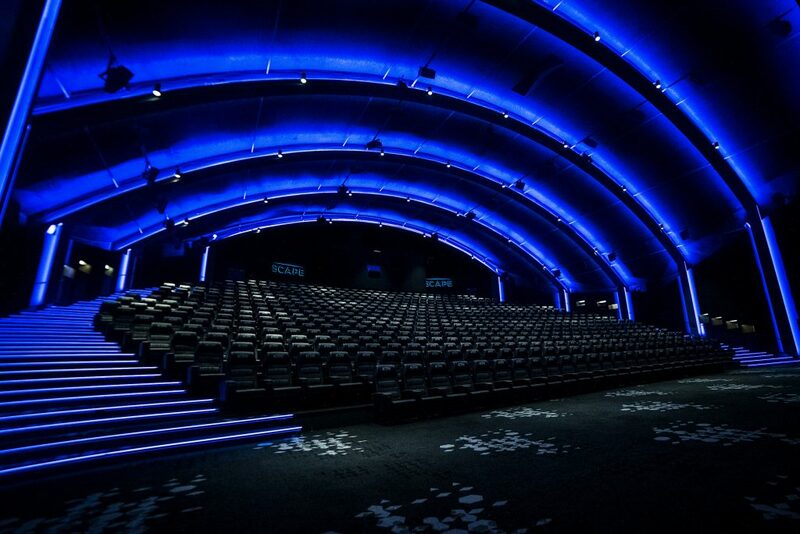 CJ: Finnkino is part of the Nordic Cinema Group (NCG) of exhibitors. What exchanges do you have with your senior colleagues in neighbouring countries and how do you learn from each other? Veronica Lindholm: I’m part of the NCG management team and we’re meeting monthly to share results and best practice. our motto is: “one mistake in one cinema, one success in all cinemas”. perhaps even more importantly, our colleagues in the marketing, operations, technical and programming teams are meeting regularly and working on common projects. CJ: Finnkino recently switched from Pepsi to Coke. How do you go about to make such a major transition a success? Veronica Lindholm: We spent a lot of time with Coke, taking them to each of our cinemas and looking at the customer flow. We then worked closely with the Coke team and their agency to create the perfect in-store look and feel. Ee transitioned the whole chain over two weekends and this was possible due to very good planning. CJ: What are the key challenges you see facing the cinema industry as a whole today? 3) How can we fully take advantage of the digital marketing opportunities that are available. CJ: Are there any key challenges facing the Finnish/Nordic cinema market specifically and how is Finnkino responding to them? Veronica Lindholm: In Finland, we have had many years of strong domestic films, and last year 30% of admissions came from domestic films. Of course this is a small language area, with only 5,5m people speaking Finnish. Film producers are dependant on funding from the Finnish Film Foundation. we are supporting Finnish films through different marketing programs. CJ: Are you a believer of social media and new online and mobile platforms in terms of connecting audiences with films and cinema? Veronica Lindholm: Absolutely! I think this could be a game changer for the industry if we get it right. CJ: How are you leveraging Big Data in terms of gaining customer insights and do you work by yourself or in partnership with external companies? Veronica Lindholm: We are already today leveraging Big Data, but we are still in the early stages. We have a strong road map and a strong vision for where we want to be. We are working by ourselves, and believe that we should have the direct relationship to our customers. CJ: Can you share any examples of these customer insights? Veronica Lindholm: There are multiple examples. One is that we’ve identified a certain target group who are looking for new experiences. For them we developed a concept which is already available in some other markets called ‘Mystery Cinema’. For those not familiar with the concept, the customer doesn’t know what movie they’ll be seeing until the show starts. I never thought this would work, but the customer insight was correct and the concept has been really successful. It certainly generates a lot of buzz in social media. CJ: Who do you look up to, either inside the cinema industry or outside, as a business leader? Veronica Lindholm: I have huge respect for Steve Jobs and what he accomplished during his life-time. He was a true visionary and I admired his ability to focus on a few selected products. CJ: Do you feel optimistic about the future of the cinema business? Veronica Lindholm: Yes, I do. As long as we continue to develop the customer experience, I think we’ll continue to do great. We need to simplify the experience, and remove all barriers to visit. We need to use our big data to create attractive offers and stay top-of-mind with customers looking for out of home experiences. CJ: Thank you for talking to us.